Pixel Hearts…err no Art ! 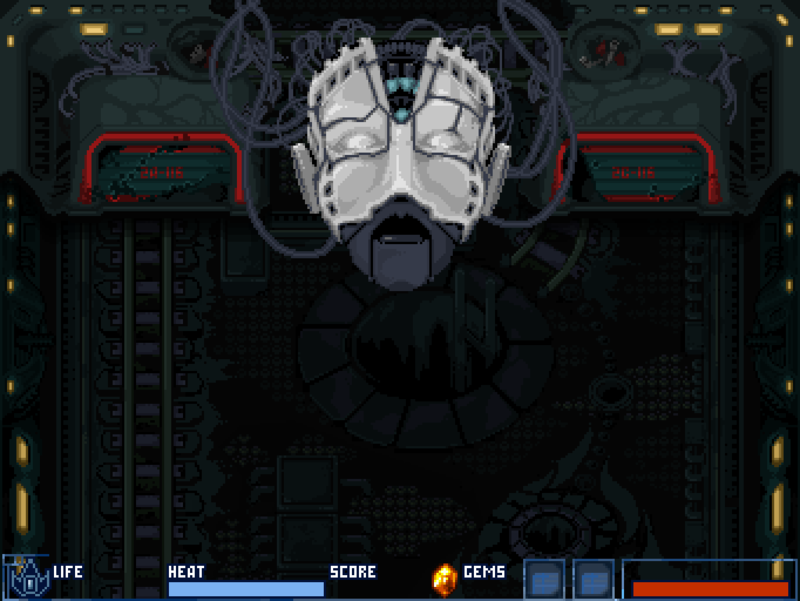 I have been working for more than 2 weeks on level 4 graphics, including background, enemies and bosses. It is nearly finished, at last. For the background, I wanted to add a little bit more atmosphere, so I decided to add rain to the background. At first, I wanted also to draw a dark background, something in the night, so the atmosphere would have been heavier. But because other backgrounds are rather dark, I prefered to stay on something taking place during the day. For the boss, because of animations, it took much more time than I planned to. It is long to animate even small parts. But it seems okay now and I am waiting for them to be included in the level (at this time I will have some corrections to do, but that is part of the game…). On monday, I start drawing level 5. A rather dark, this one. The alpha demo is out ! Hi everyone. I haven’t posted here for a while but we have been very busy working on the game, posting on facebook, twitter, google+, indieDB, steam greenlight and it has been pretty exhausting. 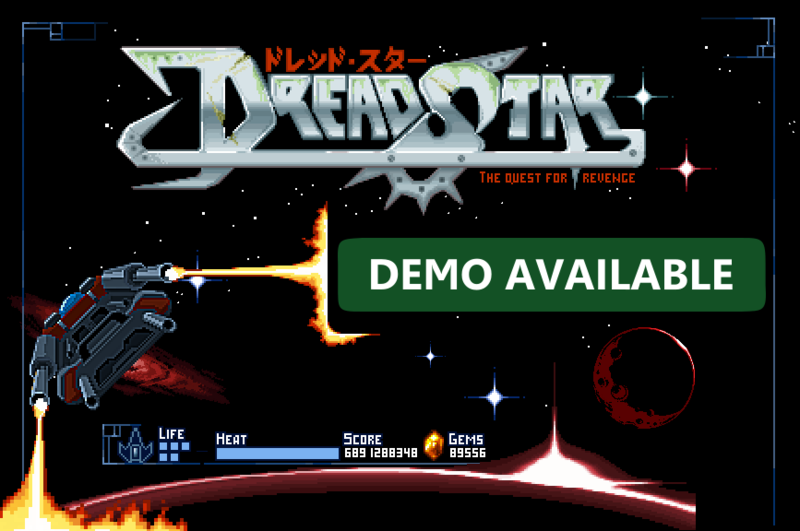 DreadStar’s demo is now out ! I have recently removed a lot of small bugs and added a bit more feedback to several areas. There is still a lot of work to be done, we need to make new sounds (there are a lot of sounds missing right now) and i am now working on the level 2 boss fight. Cold and deadly artificial intelligence! 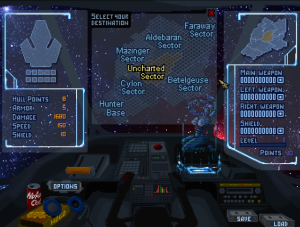 The next part will be enemies and the bosses from the 4th level. We are going to post more regularly here and try to keep this devlog alive so that you can read all about the work we’re doing ! First look at new shop ! First look at the new shop ! 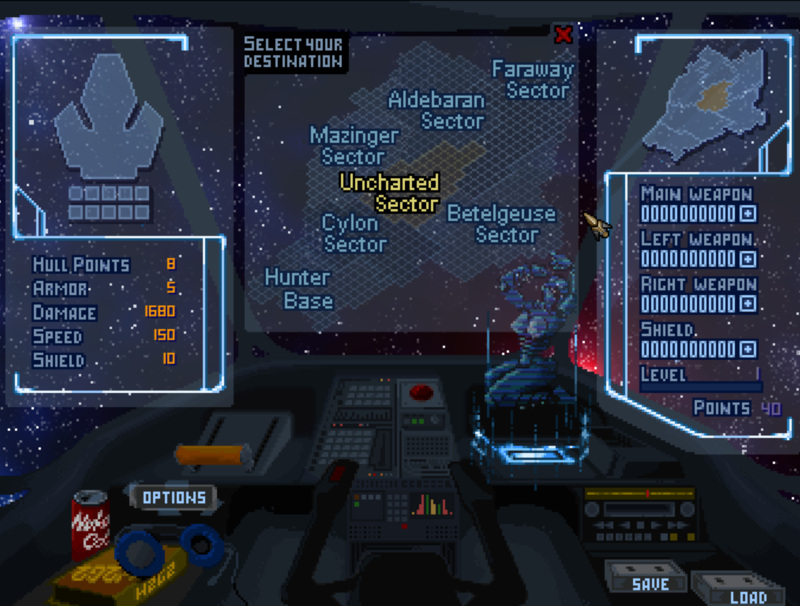 Here is a look at the new cockpit screen (with a redesigned UI). 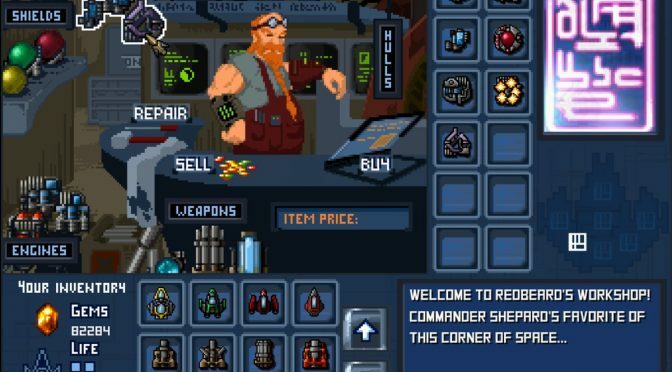 That’s where you will select your destination (level or shop), assign level points, change your ship’s equipment, or just chill out watching some holos while listening to some high-tech audio tapes ! Space dragons and giant rainbow unicorns.